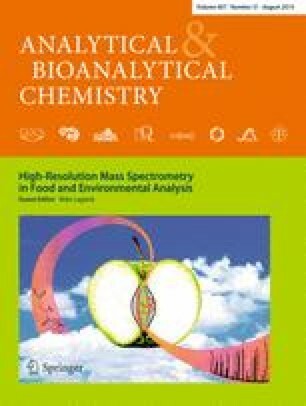 This article describes the development of a lipidomic platform consisting of a 4000 QTRAP mass spectrometer and a self-installed sample inlet system to indentify and quantify 12 phospholipid and five sphingolipid classes from lipid-rich brain tissues of mouse, duck, and salmon. The total mass spectrometry analysis time per sample was 30 min, including 14 min for direct infusion for phospholipids and sulfatide in precursor ion scanning mode or neutral loss scanning mode, and 16 min for liquid-chromatographic separation of ceramide, sphingomyelin, monohexosylceramide, and dihexosylceramide in multiple reaction monitoring mode. The method was fully validated in terms of linearity, detectability, recovery, and repeatability, with satisfactory results for all targets. We individually quantified 307, 308, and 330 lipid species from 17 lipid subclasses, and obtained total amounts of 57.2, 61.7, and 53.1 mg/g wet brain for mouse, duck, and salmon tissues, respectively. Phosphatidylcholine, phosphatidylethanolamine, phosphatidylserine, and sphingomyelin were the major lipids in all the brain samples, whereas phosphatidylinositol occurred at a relatively higher level in the salmon sample. For phospholipids, sphingolipids, and minor lysophospholipids, differences in the identity of the molecular species, their distributions, and their relative amounts as well as the contribution of each lipid subclass to the whole polar lipidome were found. Palmitic acid (16:0), stearic acid (18:0), lignoceric acid (24:0), oleic acid (18:1), nervonic acid (24:1), arachidonic acid (20:4), and docosahexaenoic acid (22:6) were found as the main saturated, monounsaturated, and polyunsaturated fatty acids in samples from the different species, but eicosapentaenoic acid (20:5) and docosahexaenoic acid (22:6) were more abundant in the salmon brain sample. The results are in good agreement with those in previous reports obtained from the relevant tissues, providing a reliable basis that could be extended to clinical research and resource evaluation. Tingting Zhang and Si Chen contributed equally to this work. The online version of this article (doi: 10.1007/s00216-015-8822-z) contains supplementary material, which is available to authorized users. This work was supported by China Ministry of Science and Technology (International Cooperation Project no. 2012DFA31250-1).